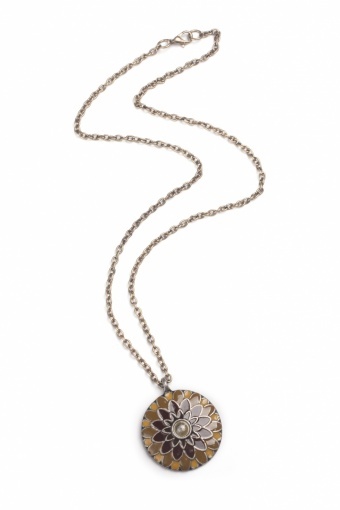 Stylized Blossom Pendant necklace. 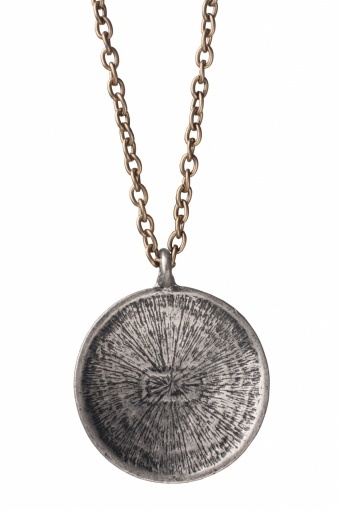 Medium long necklace with a round pendant. 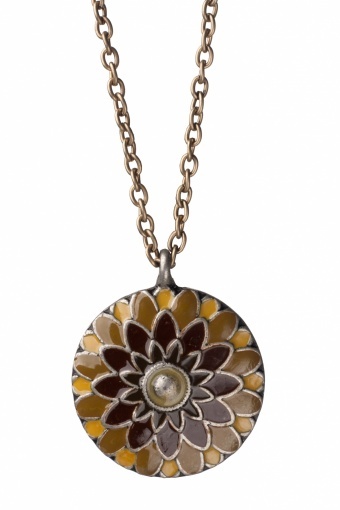 The pendant is designed as a flower heart and enamelled in warm yellow, green and brown tones.